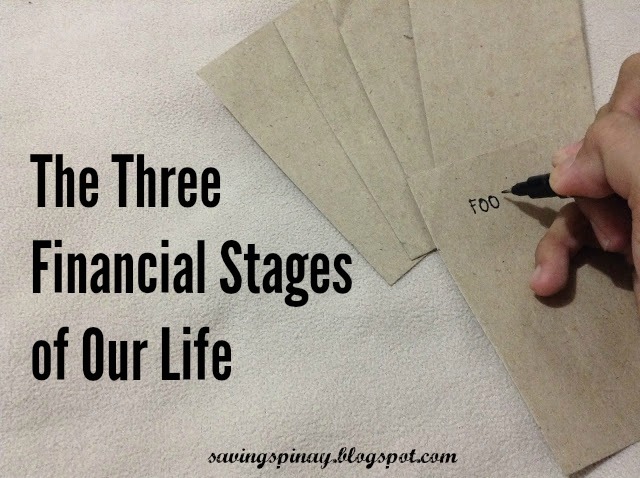 Pursuing our financial goals and wants differ as we pass through the three primary stages of our life. If you want to change your life today, then you need to plan as early as possible before another stage of your life ends. You need to be ready as you enter the workforce, marry the love of your life, start a family, invest in your own home and of course retire. 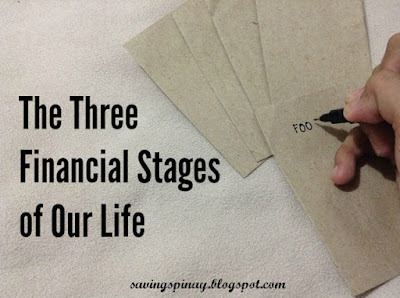 Today I decided to include the different strategies you can do as you enter the three financial stages of life. Lucky are those who are just starting in stage one because there are plenty of room to improve. Hope you find this post helpful. Also known as the learning stage, Early Stage is when you are financially dependent with your parents. You rely mostly on your allowance and either try to come up with income generating ways such as a summer job or part time work. The learning stage is the best time to expand your financial knowledge. Let reading financial books and blogs a habit. It is also important to know your priorities in life. Spend a day writing down your goals. Who do you see yourself to be in five years from now? Your goals will be your motivation to succeed. Make them specific, measurable, attainable, relative and time-bound. If you want a competitive edge then learn how to save little by little with your allowance. After graduation you will be surprised of how much money you have garnered. The money can be your starting fund for a future investment or a reward fund for a travel. I know a lot of my SavingsPinay readers are in this life stage at the moment just as I am. Productive Stage is when you are already among the workforce. You are now earning on your own and starting your way to financial independence. I still remember the moment I received my first ever paycheck. I was excited and scared at the same time. I knew that earning for myself has been something I am looking forward to for the longest time and now it is happening. Those in the productive stage will agree though, that the road to financial freedom is tougher than what you imagined during the early stage. You start learning how to save and to budget. You begin to acknowledge your money mistakes and commit to a better money resolutions. Always follow the great formula to success: Income-Savings=Expenses. Put savings as first in your priority before spending. Also start allocating a portion of your active income to your savings. You can open a separate bank account for this and take let's say 10%. As you an increase in your salary, make sure that you also increase the amount that you put in your savings account. Avoid unnecessary spending like so you can save more. The retirement stage should be something worth looking forward to. It is the moment when you retire from the productive stage and enjoy more time with your family, friends and loved ones. As you retire the health care-related concerns are the top priorities. As morbid as it may sound, you also need to ensure that you have prepared well for your death. Your estate plan should be up-to-date and you have enough money to live and enjoy your retirement years. Aim to embody financial discipline and become a wiser steward of the blessings that God had entrusted you with. Each life stage is different. There may be financial challenges along the way but what’s important is you have the right attitude on how you spend your money. Try to review the Top 10 Most Important Lessons in Personal Finance. How to Correctly Spend Your Money - New!